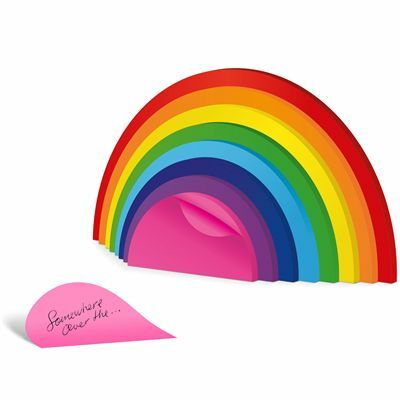 Offering multiple layers with different size in possibly every colour rainbow includes, the Mustard Rainbow sticky notes bring you the opportunity to write down any duties, ideas, or perhaps a shopping lists on colourful sheets with self-adhesive to stick them for instance on the fridge as a reminder. 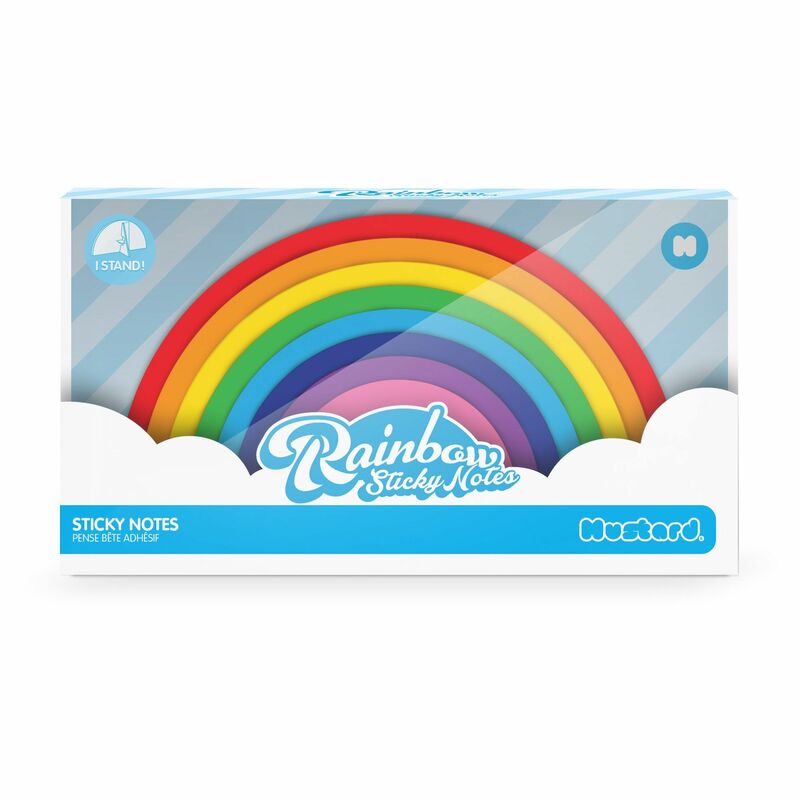 The sticky notes feature a cardboard easel back allowing them to stand in a vertical positon. They look vibrant and lively, and can be used as a gift for a someone who tends to forget about things and responsibilities. 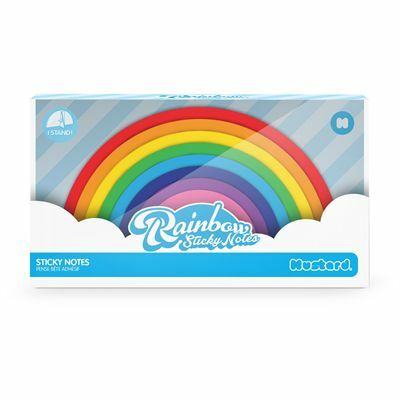 for submitting product review about Mustard Rainbow Sticky Notes.